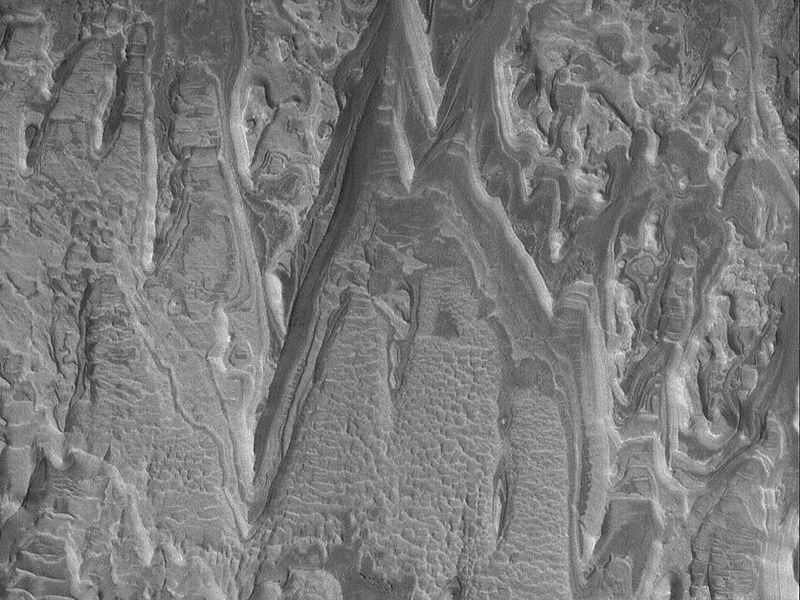 Exposures of layered, sedimentary rock are common on Mars. 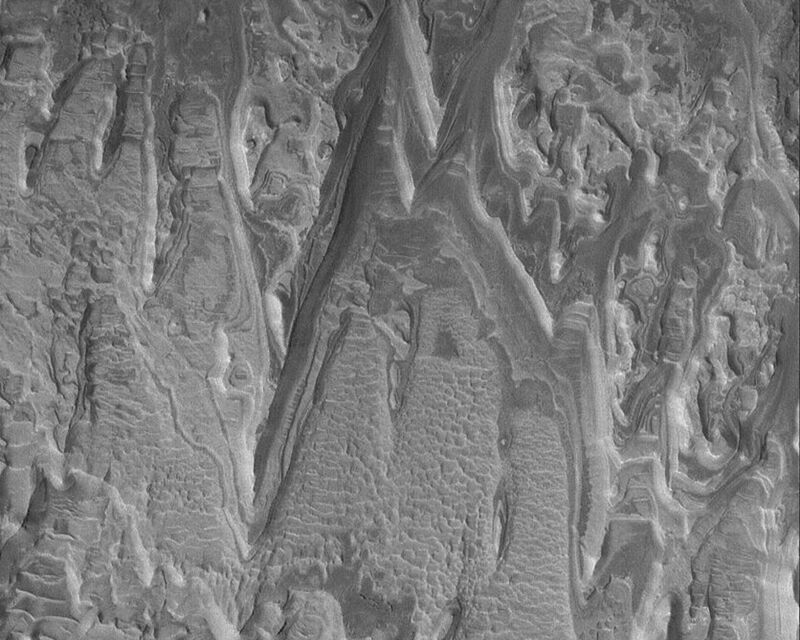 From the rock outcrops examined by the Mars Exploration Rover, Opportunity, in Meridiani Planum to the sequence in Gale Crater's central mound that is twice the thickness of of the sedimentary rocks exposed by Arizona's Grand Canyon, Mars presents a world of sediment to study. 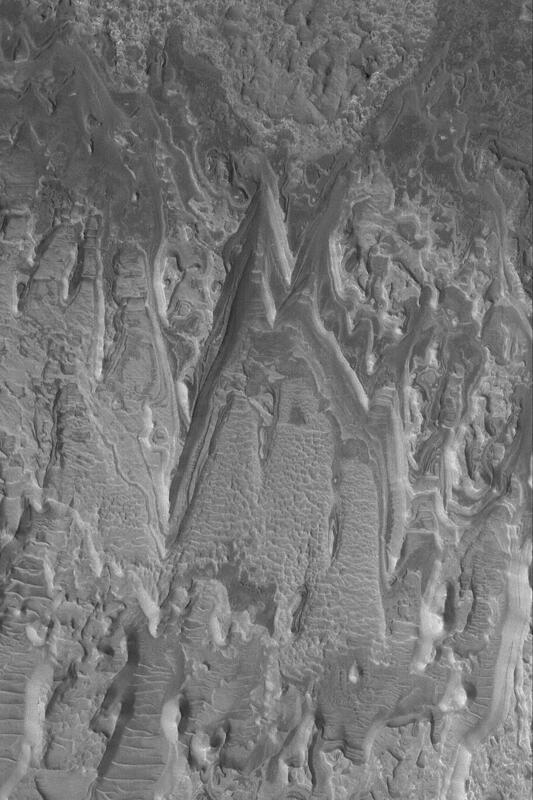 This unusual example, imaged by the Mars Global Surveyor (MGS) Mars Orbiter Camera (MOC), shows eroded layer outcrops in a crater in Terra Tyrrhena near 15.4°S, 270.5°W. Sedimentary rocks provide a record of past climates and events. Perhaps someday the story told by the rocks in this image will be known via careful field work. 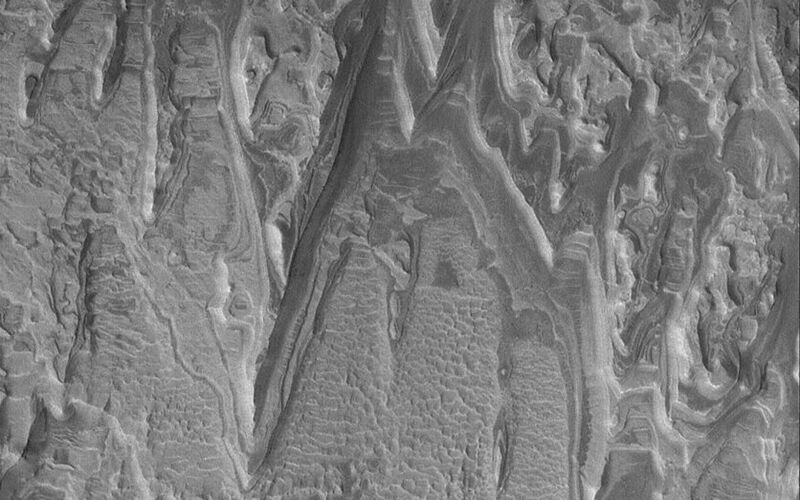 The image covers an area about 3 km (1.9 mi) wide and is illuminated by sunlight from the left.